If you haven't seen Barry Jenkins's 2008 drama, Medicine for Melancholy, then drop what you're doing and go watch it right this instant. Seriously, it is mandatory viewing, a tender film that follows a Bay Area romance in the midst of a tumultuous socioeconomic time. Like many great black indie directors, the modest number of credits--and the large gaps of time between films--listed on Jenkins's IMDB profile are more an indication of the biases in Hollywood than their talent. And Jenkins is no exception to that unfortunate circumstance. But eight years after Medicine, Jenkins has returned with yet another drama that looks like it has the potential to be every bit as "groundbreaking" as the press release reads. MOONLIGHT, to be distributed by A24, is a coming-of-age story about a young black man (in three different stages of his life) grappling with his sexuality. Naomie Harris and the man who's everywhere right now, Mahershala Ali, play supporting characters in a film whose trailer alone looks to highlight the multidimensional humanity of an underrepresented character in Hollywood cinema. 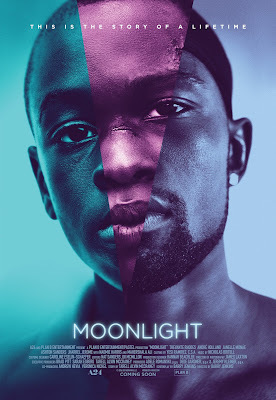 Anchored by astonishing performances and the singular vision of filmmaker Barry Jenkins, MOONLIGHT is a groundbreaking exploration of masculinity—a sensual, intoxicating piece of cinema that uncovers deep truths about the moments that define us, the people who shape us most, and the ache of love that can last a lifetime. I'm intrigued. It's Barry Jenkins, so my expectations are sky high. What do you think? MOONLIGHT opens in theaters in New York and Los Angeles October 21. Thanks for the heads up. It looks intriguing. I haven't seen Medicine for Melancholy (what a great title!) so I'm off to look for that.